ODESSA, Ukraine -- The vehicle jumped along the cracked and buckled road that runs from Odessa toward Romania, which is part of the European Union. We passed by poor villages on the left bank of the lower Danube, uncultivated fields, falling-apart infrastructure. But Yulia Marushevska, 25, a Ukrainian woman who might easily win a beauty contest among the world’s politicians, did not seem to mind the bumps. She was smiling as she looked out the window. She had no doubt, she said, that it is now just a matter of time before the holes in the asphalt will be fixed and a perfectly smooth highway will link Ukraine with the rest of Europe. As we drove, Marushevska told The Daily Beast about her love for the corner of the Odessa region where she grew up on the frontier of Moldova and Romania: her walks on golden sand in the narrow stretches of land that extend like twisted fingers in the Sasyk estuary, the unique salt lakes and wonderfully pristine forests. Marushevsa’s grandmother, a small, round person full of smiles (“a walking incarnation of kindness”) still lives in one of the small country houses on the shore of the long-neglected Tatarbounary resort. So, a few weeks ago Marushevska asked her husband to wait for her in Kiev and together with seven other members of the team around newly appointed Odessa Governor Mikhail Saakashvili (yes, the former president of Georgia) they took a minibus to this land of marshes and inlets where the Danube flows into the Black Sea. She knew this was her chance to make the difference for her beloved babushka, and to start making major strides for Ukraine, her beloved country. Finding creative ways to make a difference is Marushevska’s specialty. Less than two years ago, she was a Ph.D. student researching 20th-century Ukrainian mythology at Taras Shevchenko National University. “I want you to know why thousands of people all over my country are on the streets,” she said to the global audience, her voice full of feeling. The video has since been seen by more than 8.3 million people. 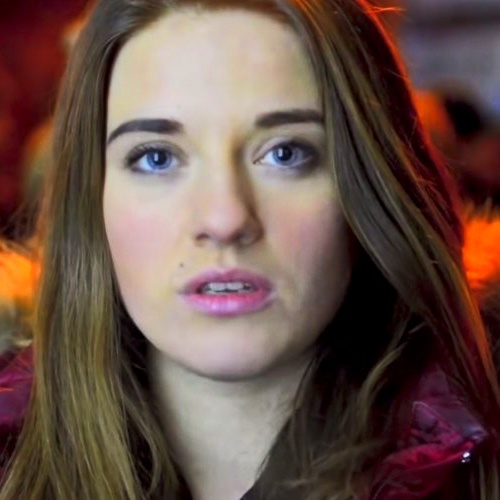 Marushevska remembers the cold winter day early last year when the two-minute appeal was filmed in the Maidan. Protesters her age were arrested, beaten, killed, and it seemed possible that at any minute communication with the outside world would be cut off so the forces of the state could murder the protesters in the night. Hence, in the face of the fears, the passion in her voice mingling anger and defiance. Moscow has claimed outsiders coached her; that the video was part of an alien plot. “It had nothing to do with some foreign orders, as Russian propaganda claimed,” Marushevska told The Daily Beast. Marushevska’s self-appointed mission reaching out to the world continued throughout last year. She became La Pasionaria of Ukraine’s Maidan uprising, taking its message to the U.S. Congress and the European Union Parliament, reaching out to dozens of politicians from over 100 countries. “Even Chinese leaders spoke with me about Ukraine issues,” Marushevska said. But it’s one thing to travel the world talking about change, it’s another to make it happen on the ground, and in recent months that is where she has focused her talents: on the government of the Odessa region. “It pains me to witness how hard-working people, some of whom head factories giving jobs to hundreds of people, humiliate themselves in front of lazy bureaucrats in Odessa,” Marushevska told us. By the time she was two weeks into her new job as a reformer in Odessa, Marushevska had discovered what it is like to “wake up in the morning and go to war” with a cranky post-Soviet system based on feudal subordination and surly passive-aggressive resistance. But when she got back to Ukraine, Marushevska realized that to be one of those creating the new transparent and decentralized government she believes in, she had to be fighting anti-democratic practices within the local management system, which was redolent with crime, corruption, laziness, and fear, the bouquet of features typical for any post-Soviet country. Clearly the revolution alone was not enough to change Ukraine. “Today I have a new tutor, Saakashvili, who probably is the best reformer one could find,” Marushevska said, sounding excited in the midst of what felt to her like a great day. Governor Saakashvili was on his way on a public bus, coming to speak with locals. Marushevska warmly hugged people she met on the streets in Tatarbounary, where several locals recognized her. She told them that the governor would be speaking on the town’s main square shortly and everyone could have a chance to meet with Saakashvili in person, complain to him about all their troubles, give insights, help the new governor’s team of reformers to make the right decisions. “This is the specialist we have,” he said, pointing at Marushevska.